We love going to the country fair. We can drive there with the plow hanging off the back. We’ve won our share of ribbons, but the real reason we go is to meet and talk with the many people who have never seen a farm jeep. Bartholomew County is home to a number of major players in the transportation industry, including Cummins Engine Company. 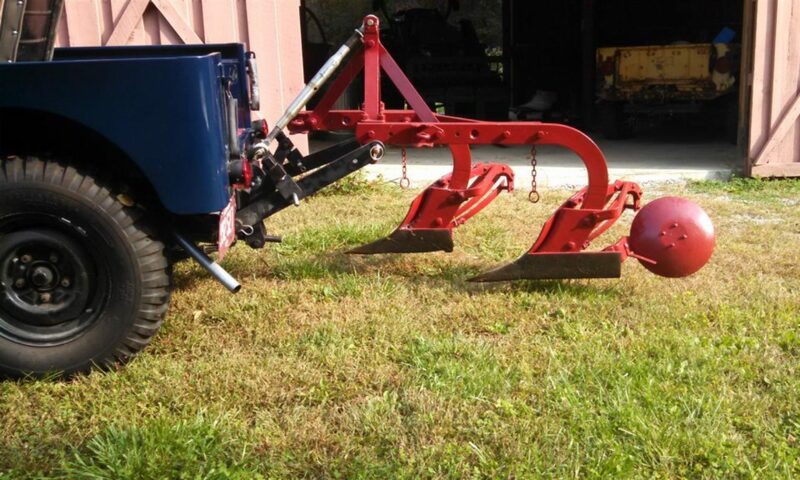 Most of the questions are technical in nature, rather than functional (how well does it pull that plow?) 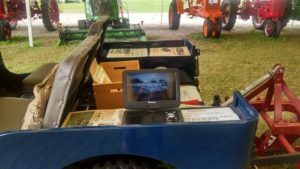 questions we are ask at tractor shows. It is not unusual to see someone hand off his cup of home-made ice cream to a friend while he takes a look at the underside of the jeep. The last day of the fair, we added a portable DVD player to show a short (7 minute) Willys promotional film. As you might expect from a crowd on a time schedule, there were only a few people who watched the entire film. But we expect it to be a bigger hit at the next show. 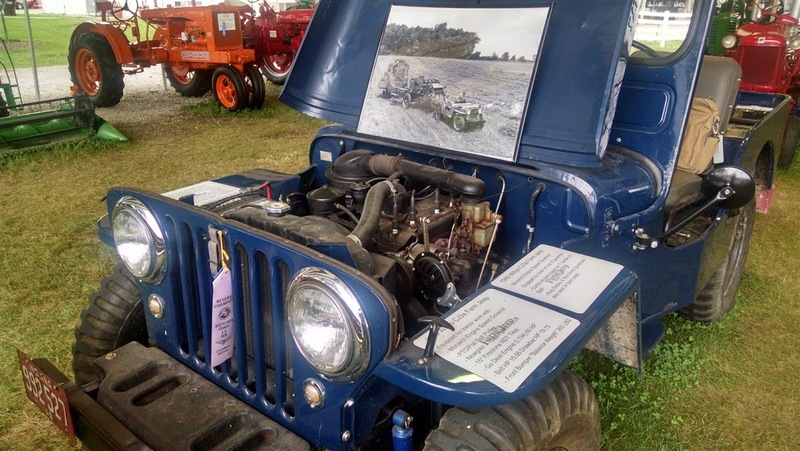 We continue to search for ways to provide information about the jeep’s role in farming history. Our favorite part of traveling to shows of all kinds is the opportunity to meet and talk with people. Over the years, we have heard many personal accounts that tell the Farm Jeep story in ways that ads and promotional films can’t. We plan, in the coming months, to start recording some of those stories here.